Zika virus, deadly to a developing fetus, could aid in the treatment of glioblastoma, one of the deadliest and most common brain cancer. The virus destroys glioblastoma stem cells and could be potentially used as a complementary treatment with radiation and chemotherapy. The Zika virus could actually help brain cancer patients. The virus, famously known for infecting brains of developing fetuses and causing microcephaly, can destroy glioblastoma stem cells. Researchers from the Washington University School of Medicine and the University of California San Diego School of Medicine conducted a study-the findings of which can be read in The Journal of Experimental Medicine. Glioblastoma, also known as glioblastoma multiforme, is the most common type of brain cancer. It’s also the most lethal due to the fact that it’s hard to treat. The tumors appear as finger-like tentacles that extend to surrounding brain tissues, making it impossible to remove them all in one surgical session. Radiation and chemotherapy are applied after surgery to delay progression but often these methods aren’t enough. Glioblastoma stem cells can survive and divide to produce new cancerous cells, that’s why recurrence is common within 6 months post-surgery. In a fetus, the Zika virus (ZKV) destroys neural precursor cells. Curiously, glioblastoma stem cells are similar to these cells given the fact that both are neurological and have the capacity to produce a near-limitless number of new cells. This parallelism, or behavior similarity, prompted scientists to test if ZKV could also act on brain tumors. In the lab, 18 mice were treated with ZKV while 15 were on saltwater placebo. After two weeks, the ZKV-treated subjects had significantly smaller tumors. “We showed that Zika virus can kill the kind of glioblastoma cells that tend to be resistant to current treatments and lead to death,” said Michael Diamond, Washington University professor and one of the study’s senior author. In humans, if the virus is to be used for treatment, it has to be injected directly into the brain during a surgery to destroy the glioblastoma stem cells but this approach could also destroy neural precursor cells and other types of brain cells. The adult brain though has fewer neural precursor cells than fetal brain so that’s one less thing to worry about. The researchers then tested ZKV on brain tissues of epilepsy patients and were happy to find out that the virus infected only the cancerous cells. If not into the brain, another possible treatment route is through another part of the body but this one could trigger an immune response. 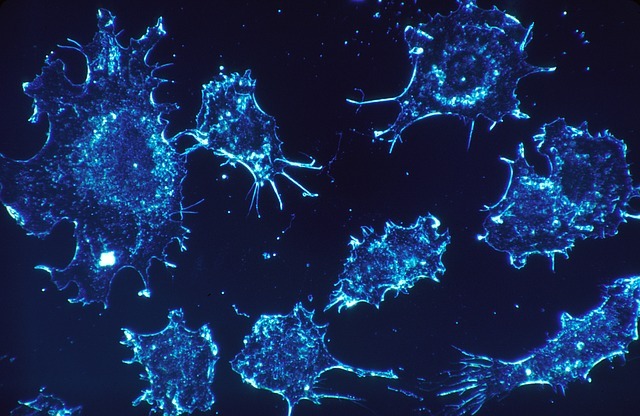 To make ZKV safe for cancer therapy, researchers have introduced mutations to weaken the virus’ ability to fight the immune response. The original strain can grow in tumor cells but can initiate an immune response from other healthy cells in the body. On the other hand, the mutated strain can also grow in tumor cells (which have naturally weak antiviral properties) but can be easily eradicated by healthy cells, thus, preventing the spread of infection. As ZKV targets glioblastoma stem cells, it can now prevent the formation of new tumors and leave the rest of the cancerous cells to radiation and chemotherapy. “We see Zika one day being used in combination with current therapies to eradicate the whole tumor,” said Milan Chheda, another senior author of the study. This discovery adds ZKV to the list of viruses that are oncolytic (infects and kills cancer cells). HSV1716, a genetically modified herpes simplex virus and the first FDA-approved oncolytic virus, has been used nowadays to treat advanced melanoma but was also previously involved in glioblastoma studies. 95% of patients diagnosed with glioblastoma die within 5 years, with more 50% likely to die within the first 15 months. With these dire figures, researchers are hoping ZKV can offer the treatment that HSV1716 never achieved. Zika virus is mainly transmitted by the Aedes mosquito, which also carries dengue, chikungunya and yellow fever viruses. Infection lasts for 2 to 7 days and symptoms include mild fever, skin rash, conjunctivitis, muscle and joint pain. The virus is also transmitted sexually, leading to pregnancy complications and, in baby, microcephaly and other congenital brain abnormalities. ZKV was named after Uganda’s Zika forest where scientists first isolated the virus from a sick rhesus monkey in 1947.